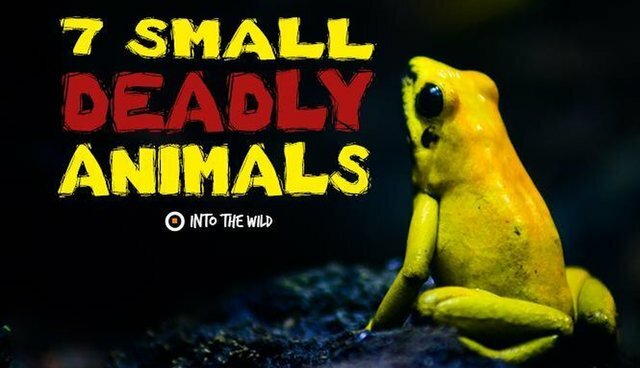 Deadly animals? Sure. Crocodiles, snakes, sharks. But we are talking much, much smaller. The obvious small animal with the ability to kill you – and is at home all around the world – is a mosquito; simply because it can carry fatal diseases. And there are so many more! 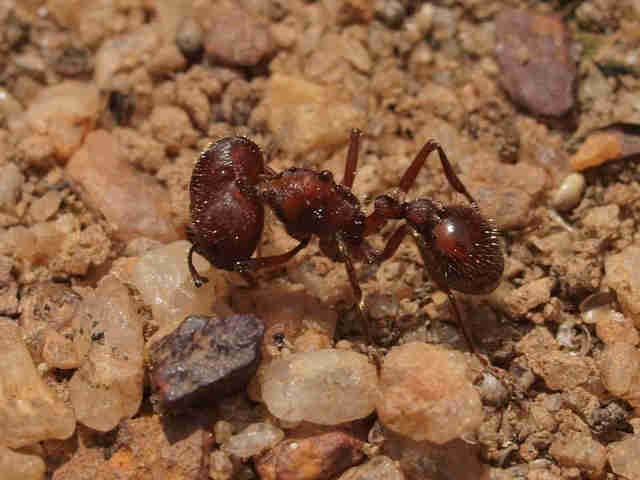 The Red Harvester Ant, living in the Southwest of the United States, has the most toxic venom of any insect in the world. It will sting and inject its venom into the prey. In most cases, the intense pain will go away after several hours but this ant always travels in packs and a person will be bitten many times, sometimes even by one single ant. The bite can provoke a potentially life-threatening allergic reaction. Depending on where in the US you come across this ant, the venom can be more or less poisonous and the level of aggression of the ants differs as well. 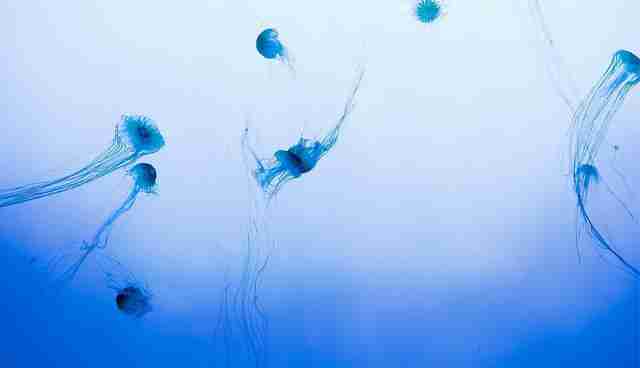 Found in Australia, this jellyfish's venom is 100 times more powerful than a cobra's. It is especially common in Queensland, north of Cairns. Being the smallest jellyfish in the world - only half the size of a penny – there are jellyfish nets set up to ensure safe swimming areas on the beach to keep Irunkandji out. The bite can be treated but if it isn't seen by a doctor quickly, it can be fatal. The symptoms of the Irukandji syndrome become more and more intense within about half an hour of the bite and usually nausea, vomiting, anxiety, severe pain throughout the body, an increased heart rate, blood pressure and sweating. flickr | Matt Reinbold You can look for the Deathstalker Scorpion in the deserts and dry scrublands of Africa. It is about four inches long and a pale yellow colour – until it gets dark and its body glows! 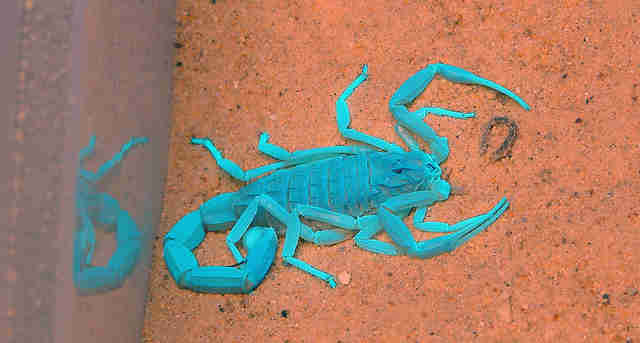 The Deathstalker Scorpion has the strongest poison of its type with six different neurotoxins! Symptoms of a bite are extreme pain, convulsions and paralysis. Each year, this animal kills several people who suffer a heart or respiratory failure about being stung. 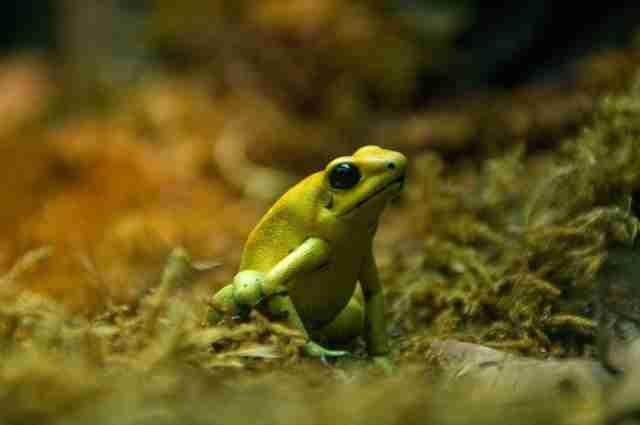 Living in Colombia, the Golden Poison Dart Frog is the most poisonous animal. Poisonous means the animal doesn't need to inject its venom into its prey. This frog keeps its poison – enough to kill ten grown men - under its skin. Just by touching it, you will end up with venom on you. The most dangerous part is that so far, there is no treatment for this kind of poisoning. 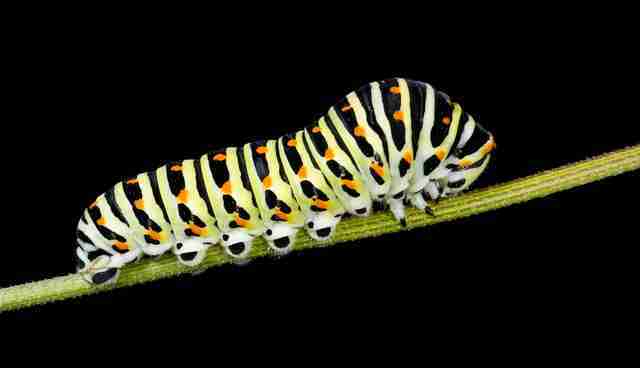 A caterpillar is often only interesting for the animal is turns into as an adult. The Lonomia Caterpillar from South America though is already well known as a larva as it is covered in bristles. At any sign of danger, it will sting with as many bristles as possible and inject its predator with deadly venom. Symptoms are blood clotting and strong bleeding. 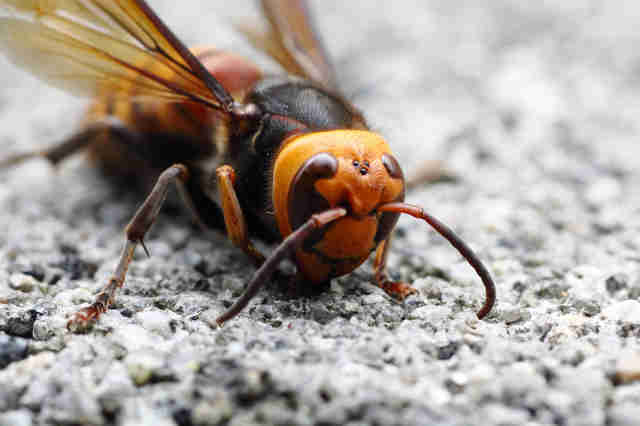 About 30 to 40 people die in Japan each from a sting by the Giant Japanese Hornet. One hornet can kill forty bees in under a minute and can kill a human. Running away is not an option as they can fly up to 25mph. It is one of the largest hornets on earth and although the venom itself is not the most lethal, it is the large amount injected through the long stinger that makes it dangerous. It attacks the nervous system and damages tissue. In some cases, it can lead to a fatal anaphylactic shock. 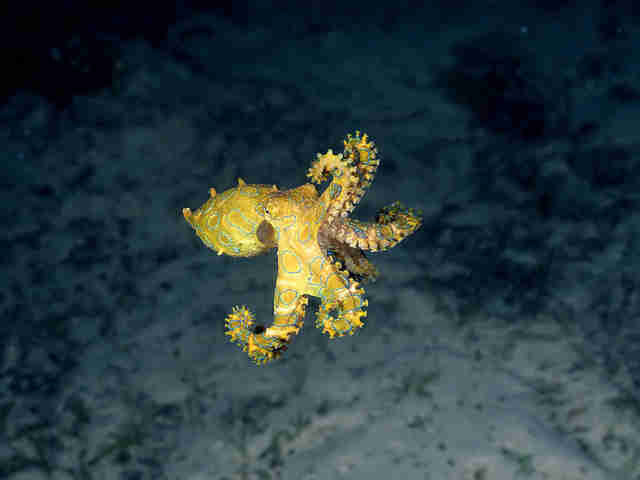 Another Australian animal whose bite can be fatal: The Blue Ringed Octopus. Their venom is contained in their saliva and their beak is strong enough to pierce through wetsuits, which makes these animals particularly dangerous as they live in shallow coastal waters shared with tourists, swimmers and snorkelers. One dose of venom is strong enough to kill 26 people. It turns blue before it attacks and the bite itself in painless. Within five to ten minutes though, the body starts feeling numb and gets weak. The victim cannot talk or breathe, leading to unconsciousness. The bite is fatal when the brain is completely deprived of oxygen.